Jerusalem, c. 1920. 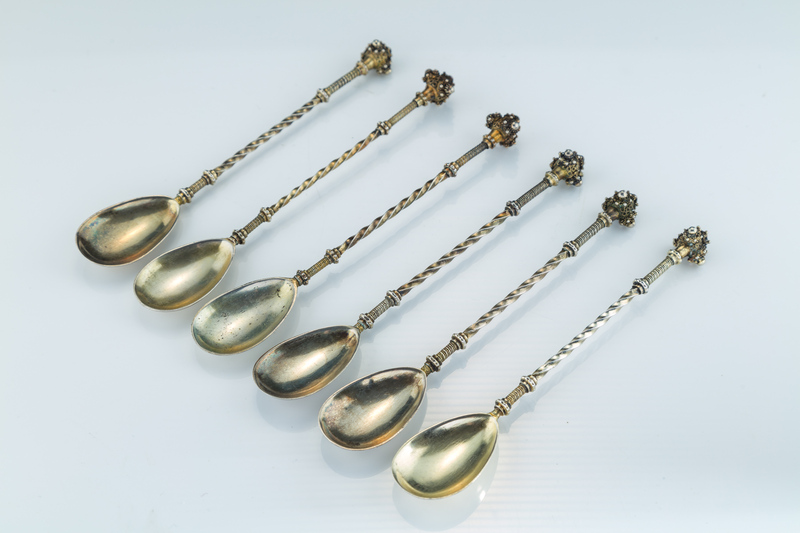 Oval shaped spoons with twisted stems terminating in an ornate finial. Signed. 6” tall.